Deepak Hegde’s research focuses on entrepreneurship, innovation and intellectual property rights. He studies how entrepreneurs and inventors in science and technology based industries overcome the challenges associated with commercializing their ideas. His work has been published in journals such as Science, Nature Biotechnology, Management Science, Organization Science, Journal of Law & Economics, Journal of Economics & Management Strategy, Yale Journal of Law & Technology and Research Policy. He is a recipient of the Kauffman Faculty Fellowship for entrepreneurship research and the Thomas Alva Edison Fellowship awarded by the U.S. Patent and Trademark Office. 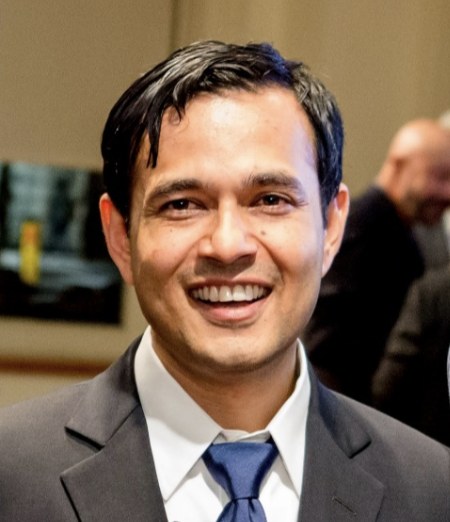 Professor Hegde teaches MBA courses on Competitive Strategy and Corporate Strategy, coordinates a PhD course on innovation, and hosts the Creativity and Innovation Research Initiative at Stern. He was named one of the world’s best 40 under 40 business school professors by Poets & Quants. Prior to joining Stern’s Management and Organizations department in 2010, Professor Hegde had worked at Bosch, a large technology-based German company, and Abt Associates, a research and consulting firm for the U.S. government and business sectors. He earned his B.E. in Industrial Engineering with distinction from the Mysore University, M.S. in Public Policy from the Georgia Institute of Technology, and Ph.D. in Business Administration from the University of California, Berkeley. Tacit knowledge and the structure of license contracts: evidence from the biomedical industry. Funding and performance at the US Patent and Trademark Office. Nature Biotechnology, 30(2) Feb 2012. NYU Stern Announces the Establishment of the First Creative Destruction Lab in the U.S.